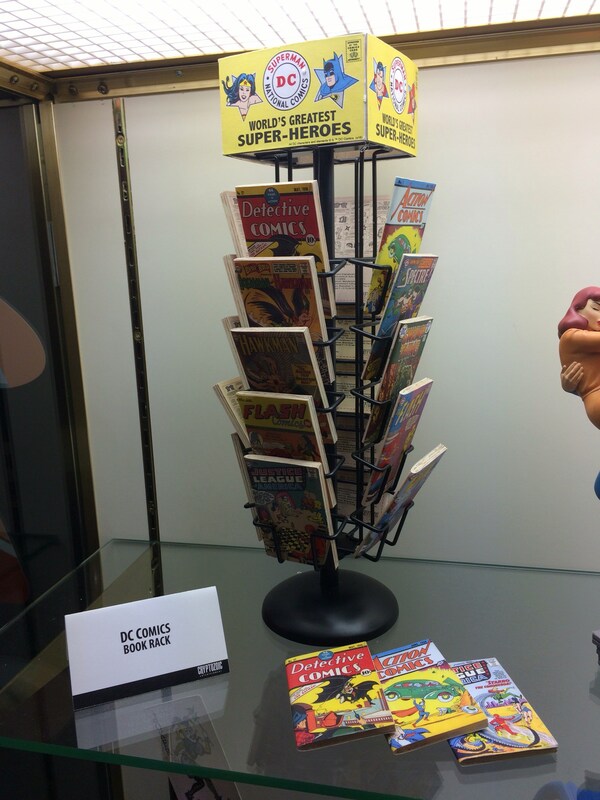 Images from Toy Fair beg the question: where can I buy a recreation of a vintage spinner rack that holds real comics? Now, in this case, it only holds the smaller “comics” it comes with and can be bought in blind bags — per the report, they’re just for display purposes and can’t actually be open and read. It’s still pretty cool, but it kind of makes you wonder why no one* is making actual spinner racks that fans could buy and use to display their creations. I know you can buy the modern equivalent, which aren’t really aimed at the consumer market, and classic comic racks show up on eBay, but why isn’t someone making recreations of comic spinner racks that hold real comics? Someone should get on that, pronto. *I could be wrong that no one has ever done this, and would actually be happy to be proven wrong if it means they’re available somewhere. Apparently they were showing a prototype of this at the ’16 San Diego con. Any idea of the suggested retail on this?